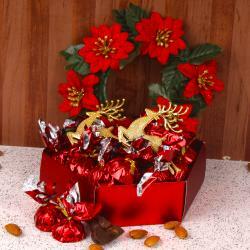 Product Consist : Special Santa Claus Face Shape Homemade Chocolate with Assorted Chocolate Toffees like (Vigos, Lavista, Choco nom nom) (Weight : 200 Gms) and Christmas Greeting Card. 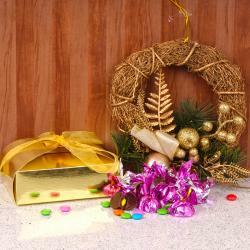 Christmas is near to coming to an end as 25th December. Preparation for celebration also start by people all over the world, this festival is considered as the jolliest time of the year. 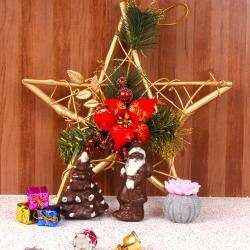 So, celebrate the magic and joy of this auspicious occasion with the beautiful and handpicked collection of Christmas gifts. 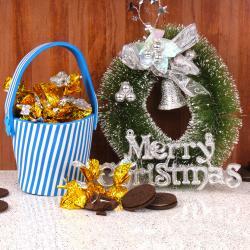 Here we present Christmas special gift which includes the Santa Claus face shape homemade chocolate along with other assorted chocolates along with special greeting card with heartfelt message card. 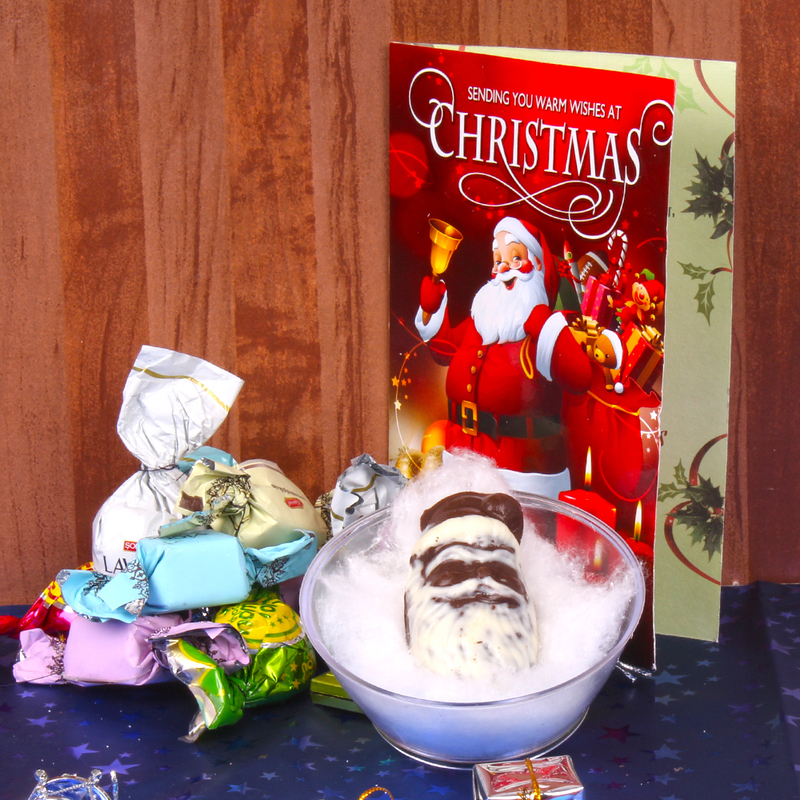 Product Consist : Special Santa Claus Face Shape Homemade Chocolate with Assorted Chocolate Toffees like (Vigos, Lavista, Choco nom nom) (Weight : 200 Gms) and Christmas Greeting Card.